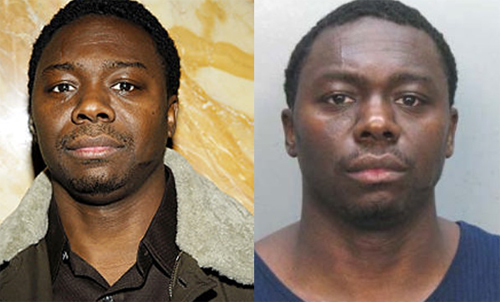 Fugitive hip-hop mogul James â€œJimmy Henchmanâ€ Rosemond, recently linked by an inmate to the 1994 shooting of Tupac Shakur outside a Manhattan recording studio, has been arrested on cocaine-dealing charges following a month-long manhunt. The owner of Czar Entertainment, is expected to be arraigned later this afternoon in Brooklyn Federal Court. Federal authorities said Tuesday that Drug Enforcement Administration agents had arrested Rosemond, owner of Czar Entertainment who managed artist from Akon to Sean Kingston, in New York City outside the W Hotel in Union Square, where he was hiding in plain sight. According to the New York Daily News, Rosemond tried to flee the hotel this morning, but was tackled by marshals and chipped a tooth when he fell. At press time, he was due in Brooklyn Federal Court. In addition to the drug charges, Rosemond is accused of witness tampering and obstruction of justice, authorities said. Last week, we reported convicted killer Dexter Isaac claimed Rosemond ignited the East Coast-West Coast rap wars that left rappers Shakur and Christopher â€œNotorious B.I.G.â€ Wallace shot to death. According to Isaac, Rosemond paid him $2,500 to shoot and rob Shakur at a Times Square recording studio in November 1994. The fallout led to Shakurâ€™s slaying in Las Vegas, and Wallaceâ€™s murder in Los Angeles.